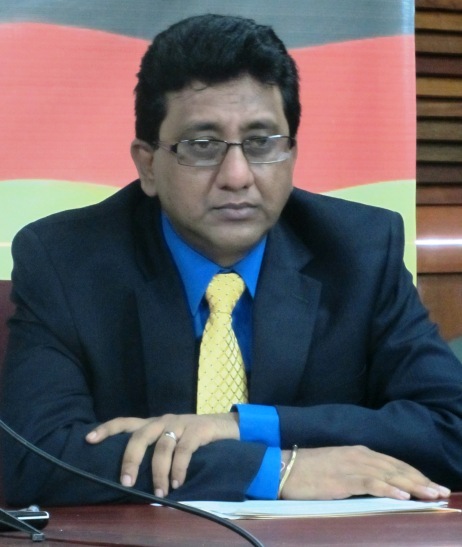 [www.inewsguyana.com]– The ruling People’s Progressive Party Civic is uncertain if it will support the Firearms Amendment Bill, which the minority party – the Alliance for Change (AFC) – intends to table in the National Assembly at the next sitting. This is the same piece of legislation which Home Affairs Minister Clement Rohee had tabled but was rejected by the parliamentary opposition, including A Partnership for National Unity (APNU) on the grounds that the opposition has no confidence in Rohee. Nandall noted that it is not the responsibility of the opposition to table Bills. “It is the government that has to administer and execute these laws and therefore as a matter of principle, it is simply wrong for an opposition to impose upon a government a law that the government may not have a technical and wear it all resources to implement and successfully execute,” Nadlall said.